Mae Corrine Hanson, 89, of Marion passed away on Sunday, November 25, 2018 at Unity Point St. Luke’s Hospital. A private family burial to take place at Cedar Memorial Park Cemetery. 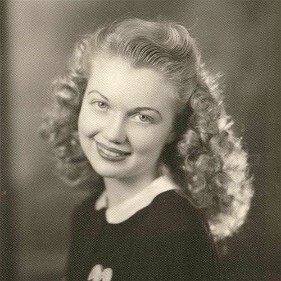 Mae was born in Marion, Iowa on July 7, 1929 to Louis and Mabel (Spencer) Herbold. She attended Iowa School for the Deaf and graduated there. Mae married Gail Hanson on July 23, 1950 in Marion. Mae was a homemaker. She enjoyed the time spent with her beloved family and friends. Mae was a devoted and wonderful wife and mother whose memory will be cherished by all who knew and loved her. Mae is survived by her twin sons, Terry Hanson and Jerry Hanson both of Marion. She is preceded in death by her parents, husband Gail Hanson in 2014, a brother Max Herbold and sister Ruth Sawhill. Memorials donations may be made to Unity Point St. Luke’s Hospice. Cedar Memorial Park Cemetery Funeral Home, Cedar Rapids handles her funeral arrangements. Thanks to Cedar Memorial Park Cemetery Funeral Home, Cedar Rapids, Iowa and Barbara Pospisil for the information.